San Francisco (Obama.net)- Thursday, the President of the United States of America made recess appointments for four nominees that have already been waiting for over three hundred days on average. The Senate, which recently approved Obama’s nominee for Supreme Court Associate Justice Elena Kagan as well as a few dozen other nominees made by Obama, is lagging in confirming the four nominees that Obama is hoping to appoint. Obama is calling on the Republicans in the United States Senate to stop playing political games to position themselves for the November 2nd Midterm Elections and instead do what’s right for America. One of the nominees awaiting confirmation is Maria del Carmen Aponte. She is Obama’s personal selection to be the official Ambassador to El Salvador. Some members of the Senate are not completely comfortable with her romantic past with a member of the Cuban government. Elisabeth Hagen is Obama’s choice for the Undersecretary of Food Safety in the Agriculture Department. Winslow Sargeant was nominated by Obama to be the Chief Counsel of Advocacy in the Small Business Administration. And the fourth of Obama’s nominees who received recess appointments was Richard Sorian. Sorian is up for the position of Assistant Secretary of Public Affairs of the department of Health and Human Services. 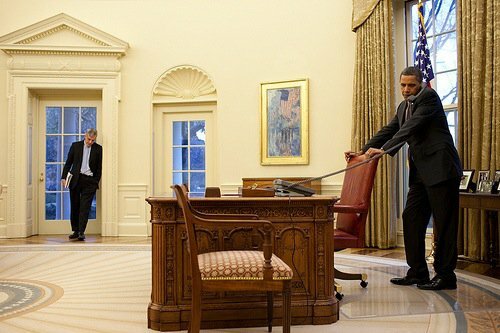 So far in his term as President, Obama has successfully appointed 417 new executives and only had to make 22 recess appointments. In comparison, former President George W. Bush made a total of 23 such appointments at the same point in his presidency. With the pressing of Obama and his immaculate history of selecting officials that the Senate has easily approved, there is no question that Barack Obama has selected the best possible candidates for the positions in question and that it truly is in the best interest of the American people that these men and women get confirmed.